“In Issue 11 of MATTER, award-winning writer Virginia Hughes tells Cheryl’s story, and describes how the twin revolutions of the internet and DNA testing have turned genealogy into a privacy minefield. After all, your genetic code is as personal as it gets — yet thanks to the web, you are no longer the only person who gets to control it.” ... Click to read more! You’ve just received an email that your DNA test results are ready, and you log into your account. The welcome screen guides you through a tutorial and presents you with several tabs to choose from. You click the first tab which reads “Your Ancestors.” The page shares information about 35 of your ancestors from the past 300 years, identified because you have inherited some of their DNA, although you have not yet provided any genealogical information to the testing company. Each of these ancestors has their own profile page complete with dates, family members, and other information such as computer-generated images and a health report which are based on a genome reconstructed entirely from modern-day descendants. You then click on the tab that reads “Your Reverse Family Tree,” which contains a partial family tree that has been constructed by the testing company. Based on extensive and well-documented genealogies, there is likely only one way in which the 35 identified ancestors can fit together in a tree (although other possible combinations are provided along with statistical probabilities). There are a considerable gaps, especially on your recent immigrant grandmother’s line, but the tree appears to be entirely consistent with your many years of traditional genealogical research. Well, except for the family of John G. Rogers from the 1850’s; you’d copied that off the Internet years ago and never confirmed for yourself anyway. Next you click on “Your Cousins,” which contains numerous close and distant relatives in the database. Some of these cousins are Genetic Cousins (with whom you share DNA), and some of whom are Genealogical Cousins (with whom you share a genealogical relationship based on your generated family tree). There are numerous 2nd and 3rd cousins matches. There are also pending offers to join several citizen science and family research groups, including the “Descendants of Calvin Lane of Old Lyme, Connecticut” group, the “Family of German Immigrant Johann Kehl” group and the “Relatives of the American Franklin Family” group, each of which has a slightly different research goal. Lastly, you click on “Your Memberships,” which offers – among other things – a discount membership to the Daughters of the American Revolution based on your predicted descendancy from Revolutionary War veteran Jedidiah Johnson (although you don’t happen to share any of Jedidiah Johnson’s DNA, he’s in your generated family tree with an extremely high probability (95%)). 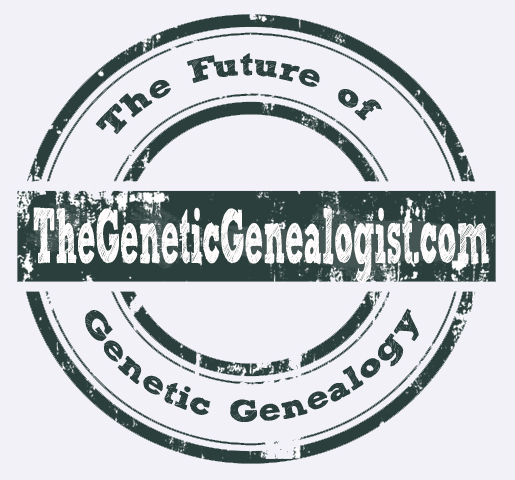 While the scenario I described above may sound like science fiction, it’s the inevitable future of genetic genealogy and is much, much closer than you might think (okay, maybe not the DAR offer!). Next month at the American Society of Human Genetics 2013 meeting, researchers from AncestryDNA will present their work detailing the reconstruction of portions of the genomes of an 18th-century couple using detailed genealogical information and Identity-by-Descent (“IBD”) DNA segments from several hundred descendants of the couple in the AncestryDNA database. In other words, researchers identified several hundred descendants of a certain couple living in the 1700s and then used the DNA shared by those descendants to recreate as much of the couples’ genomes as possible. ... Click to read more! What Else Can I Do With My DNA Test Results? 23andMe and Udacity today announced a new online course entitled “Tales from the Genome: Adventures in DNA, Identity, and Health,” a Massive Open Online Course (“MOOC”) directed at genetics. According to the website, students will learn about “fundamental principles of inheritance, gene expression, mutation and variation, development of simple and complex biological traits, human ancestry and evolution, and the acquisition of personal genetic information.” The class is labeled as being aimed at beginners. Although not announced on the Udacity website, the course will be available beginning on September 30, 2013. The “Tales from the Genome” class will be taught by Matthew Cook, Lauren Castellano, Joanna Mountain (of 23andMe), and Uta Francke (also of 23andMe). For more information, see the press release at Market Watch (“23andMe and Udacity Launch Introductory Human Genetics Course“). ... Click to read more! At Salon, an article entitled “The college class that could reveal your real father” by Katya Cengel discusses a course at Stanford called “Genetics 210.” The class uses [entirely optional] 23andme testing to explore the many issues associated with genetic testing. Although the class is offered to both graduate and undergraduate students, the class is filled with mostly graduate students. All students go through the informed consent process carefully, and have access to a genetic counselor and a psychiatrist (although according to the report not a single student has contacted the psychiatrist in the four semesters the course has been offered, and only two have contacted the genetic counselor). The most interesting aspect of the article, to me, was the complication that identical twins pose to genetic testing. 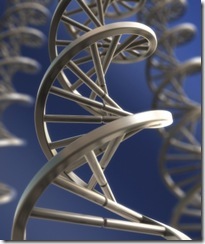 Epigenetic differences aside (which are currently NOT tested), a genetic test for one will directly apply to the other. So what happens when one twin wants to know and the other doesn’t? ... Click to read more! There has been much discussion (see here and here for a few examples) of the so-called “Scandinavian Problem” with AncestryDNA‘s ethnicity estimate, in which certain populations appeared to be over-represented in the reference panel utilized by Ancestry.com. I, for example, have no documented Scandinavian ancestry, but had 78% Scandinavian. Many others experienced the same issue. 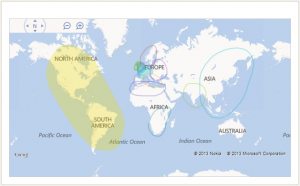 The AncestryDNA team were well aware of the issues, and have been working on an update to their ethnicity algorithm, reference panel, and user interface. Indeed, at “The First DNA Day at the Southern California Genealogy Society Jamboree” in June of this year, Ken Chahine (Senior Vice President and General Manager, DNA) gave a presentation in which he announced that the ethnicity calculations at AncestryDNA were undergoing a complete overhaul and a major update would be provided to all customers later this year. ... Click to read more!